Home \ Halloween Comic Fest, Storytelling, and Reading group this weekend! 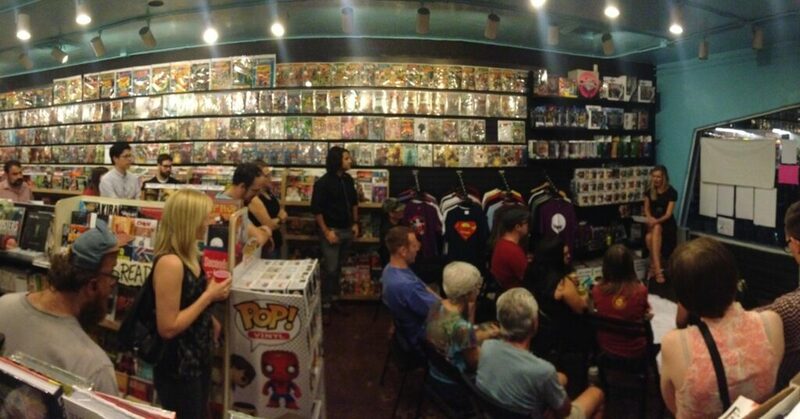 It’s going to be a busy Halloween weekend at Ash Ave Comics! Kicking off with Friday night’s Untidy Secrets Presents: Tales of Ghosts and Zine Swap beginning at 8 PM at the shop. This month’s storytellers are Karen Wegryn, Dustin TheWind, Bradley Sutherland, and Sarah R; it is free, and and BYOB is encouraged. Saturday is Halloween, and that means it’s once again Halloween Comicfest! There’s something for everyone this year with a range of full sized comics and mini comics, the best part is they’re free. Halloween Comicfest is an all day event, and we’ll be taking 20% off all comics and graphic novels, 25% off all back issues, 30% off all toys/statues and shirts! Had your eye on something in stock? Swing by on Saturday to get it before it’s gone. 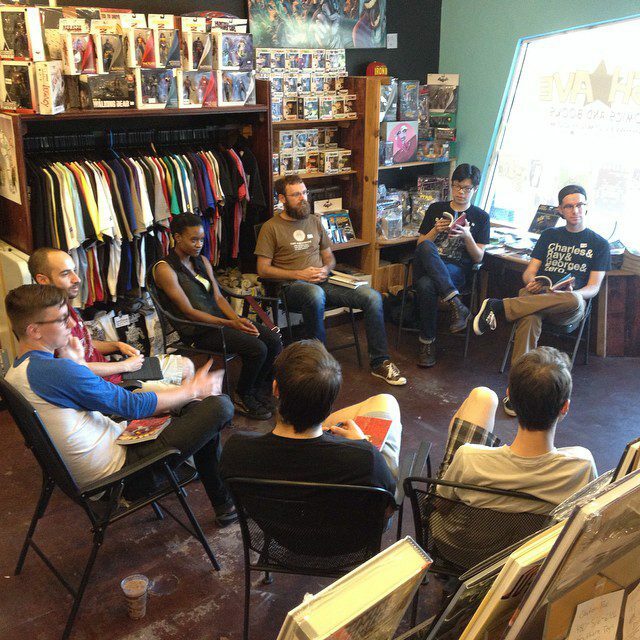 Finally, Sunday, November 1st, is our Ash Ave Comic Book Club meetup for November! We will be discussing volume one of Rick Remender and Greg Tocchini’s series Low. We’ll be meeting at 6PM, and, as usual, BYOB. A scene from our first discussion group, back in August of 2014!